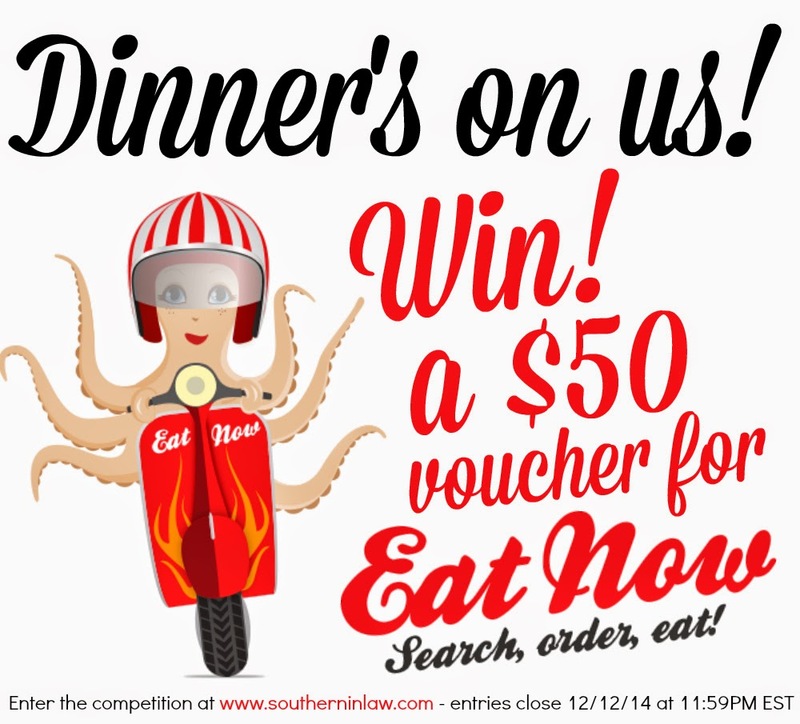 Southern In Law: An Easier Way to Order Takeaway PLUS a Giveaway! An Easier Way to Order Takeaway PLUS a Giveaway! Just when you thought ordering takeaway couldn't get easier, it has. 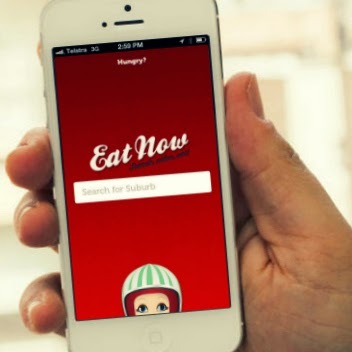 Forget scrambling through your junk drawer for takeaway menus, or hastily throwing your couch cushions off to search for hidden change to pay the delivery guy - EatNow has made ordering takeaway easier, stress free and still just as delicious. When EatNow asked Jesse and I if we'd like to try out their service, we couldn't say no. We'd been seeing ads for months for different online takeaway ordering services - but we'd also been a little bit wary. 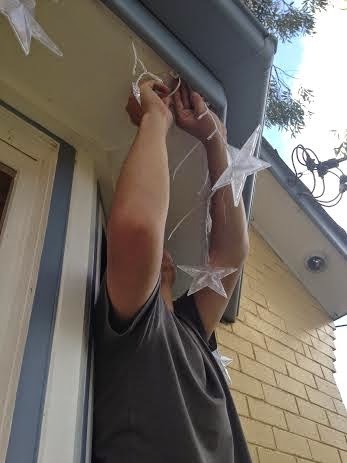 On Sunday afternoon, we were just finishing putting up our Christmas lights (post coming soon!) when Jesse asked the inevitable question; "What's for dinner?" Usually I cook dinner every night, however, Jesse and the family order takeaway once or twice a month as a special treat. I had a leftover homemade GF pizza base in the fridge so I was sorted (it's impossible to find GF takeaway near us! ), so it was takeaway for dinner for the SIL family after a day of super hard work. So whilst we finished off the lights, I opened up the EatNow App on my iPhone and scrolled through to find a restaurant. As it was a Sunday night, some local places weren't open, however, Satay Inn Asian Restaurant was - and they delivered to our area! 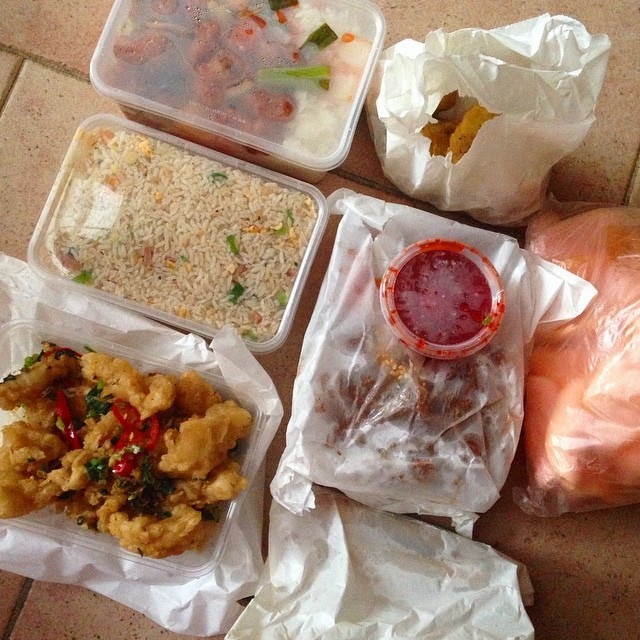 We ordered Dim Sim, Spring Rolls, Fried Rice (which Katrina said was the best ever), Sweet and Sour Pork, Calamari in Chilli Salt and Pepper (which the whole family loved) and Shredded Fried Beef ($50 in total) and placed the order, paying via PayPal on the app. 5 minutes later, I received a text confirming our order and 30 minutes later the doorbell rang and the food was here (15 minutes earlier than the estimated arrival time!) and all we had to do was bring it inside as everything had already been paid. The SIL Family crowned Satay Inn Asian Restaurant the best Asian food (after recent disappointments with local faves) and dinner was ordered, delivered and eaten in an hour! But best of all? We want to buy dinner for one of you! We have 1x $50 EatNow Voucher to Give Away to spend on dinner at a local restaurant of your choice! Leave us a comment on this post telling us what your favourite takeaway dish (dishes) to order is! If you don't have a Disqus account, simply select "Pick a Name" and check "I'd rather post as Guest" and ensure the email you use is one we can contact you at if you win! For an extra entry: Follow us on Facebook and leave a comment letting us know by hitting "reply" under your original post. For an extra entry: Follow us on Twitter and leave a comment letting us know by hitting "reply" under your original post. For an extra entry: Follow us on Instagram and leave a comment letting us know by hitting "reply" under your original post. Entries open to Australian Residents. Competition closes 12/12/14 at 11:59 EST. This was a sponsored post for EatNow. All opinions expressed in this post are completely our own and have not been influenced by the company in any way. If you're interested in working with Southern In-Law on a sponsored post, please contact us at southerninlaw@gmail.com for more information. I love Thai food, love our local thai restaurant, they serve the best thai prawn chilli laksa, it is divine. Sounds delish! Your entry is in our system - good luck! Now that's the perfect idea for when you can't make your mind up! Your entry is in our system - good luck! Thai food is our fav!!! Love all the elements and different tastes we experience!! Lucky for you, there are lots of Thai options on EatNow! Your entry is in our records - good luck! Gai Yang and Nam Jim Jaw, a Thai dish of marinated bbq chicken with bbq dipping sauce. It's a very tasty combination. Sounds delicious! Your entry is in our records - good luck! Eat Now is a great service! My fave takeaway dish used to be pizza till I found a great pizza dough recipe and make them myself. Now, my favourite takeaway dish is good ol Chicken Pad Thai - yummy! Pad Thai - always a favourite at my place! Yum! Your entry is in our records - good luck! Chicken Pad Thai is always a winner! Your entry is in our records - good luck! Ours too, Nicola! Your entry is in our records - good luck!